Honeywell has been successfully providing best of breed solutions in a large variety of sectors for many years. It has notably addressed the consumer home sector and more recently, the connected home, by providing the market with connected and smart devices (thermostats, wireless doorbells, light timers, etc.) In order to encourage the implementations of smart home applications, Honeywell also started exposing the features of some of its devices through APIs and more specifically, its Total Connect Comfort thermostats (TCC), which we wrapped into a connector that you can use from within your scriptr.io scripts. The Honeywell TCC API is not public. To gain access please contact Honeywell directly. Using the connector is very easy: all it takes it to obtain an access token for your end users, require a script and start sending instructions, as you will see it in the following. This redirects you to Honeywell’s login page. Enter your end user’s credentials using the login form and grant the required authorization to the connector. Once done, Honeywell sends an access token that is automatically associated to your end user’s username and stored by the Honeywell connector in scriptr.io’s persistent storage. Now that you have an access token, you just need to require the “honeywell/user” module to start sending instructions to the user’s Honeywell devices. From this module, you create an instance of User, passing the end user’s username. The invocation of “listDevices()” returns a list of Device instances. Isn’t this simple? The connector offers you many more features, such as turning the fan on or off, setting the heat temperature, scheduling the thermostat or defining alerts. Now that you know more about the Honeywell TCC connector, we’ll see how to leverage it to remotely control TCC devices using email. Many IoT devices are not smart enough to take their own decisions and thus, simply process instructions that are sent to them by complex logic running on the cloud or more simply, by end users through mobile apps for instance. 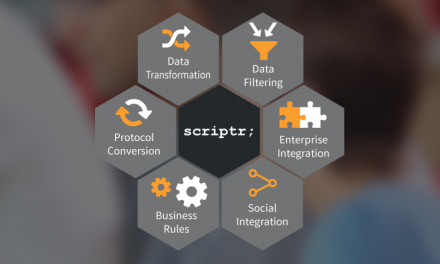 All of these options and their combinations are tackled by Scriptr.io using its powerful scripts. End users are however not limited to using graphical interfaces: they can also resort to voice or even to simpler text-based interfaces such as email for example. In the coming paragraphs, we’ll explore how to send instructions to a thermostat using email. While this might not be the first thing you would think of, email has some advantages such as being non intrusive (it doesn’t require from you to install an application on your phone) and being message based, which doesn’t require a permanent connection and can scale easily. Note1:The below code shows how to read instructions from a Gmail mailbox, using scriptr.io’s Gmail connector and to forward them to a Honeywell thermostat, using our Honeywell TCC connector. Note2: We assume that emails that contain instructions should have the sentence “thermostat control” as subject. In addition, instructions should have the following format: -deviceId,feature,value-. Example: -35359,heat,69- (set heat temperature to 69 degrees); -35359,fan,auto- (set fan mode to “auto”).